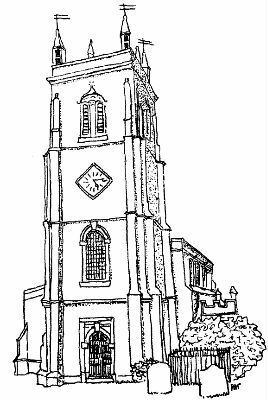 Over the past two years the Blockley Parochial Church Council (PCC) have been in the fortunate position of being able to undertake the essential works of renewing the roof of the tower, improving the sound system, and rehanging the bells. Attention now turns to the church interior which is in need of some refurbishment. Initial thoughts include the outdated heating system, improving the lighting, the provision of toilet facilities, a kitchen servery, and more. This is an opportunity for making other improvements too. We also need to ensure the premises comply with the Equality Act to ensure we meet the reasonable needs of people with disabilities. Thank you to all who completed a questionnaire to give views on what they would like to see included in the refurbishment. The working party of the PCC has met with groups that use the church to ensure that all needs are considered, and have now analysed their views and needs. As a result an Architect's Brief has been drawn up and approved by the PCC. Click here to view the Architect's Brief in full. The brief has now been submitted to a number of architects whose work in churches and historic buildings has been viewed by, and found favour with, the PCC standing committee.